Stocks have erased their gains for the year in a volatile week of trading. The S&P 500 fell by over 4% during the steepest drop of this week’s selloff on Monday. The Securities and Exchange Commission’s so-called circuit breakers trigger if the index falls by 7%, 13%, or 20% from the previous session’s closing price. The stock market is getting rocked this week. 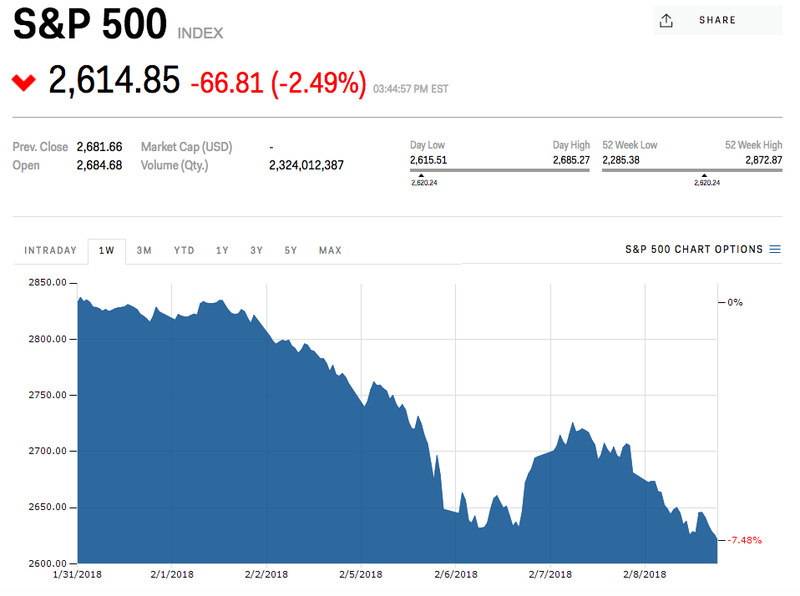 The Dow Jones industrial average on Monday had its biggest intraday fall in history on a point basis and was down more than 1,500 points, or 5%, at its lows of the day. The benchmark S&P 500 fell nearly 4%. A 7% decline in the benchmark index would be enough to suspend trading, according to the Securities and Exchange Commission’s rules. It’s a timeout of sorts, in line with the SEC’s mission of ensuring markets are orderly and fair. So-called circuit breakers are triggered when market sell-offs are so severe that liquidity is affected. If a sell-off triggers a Level 1 or Level 2 circuit breaker before 3:25 p.m., trading is halted for 15 minutes. A similar market decline at or after 3:25 p.m. would not halt marketwide trading. If a Level 3 circuit breaker were triggered at any time during the day, though, it would halt trading for the rest of the session.